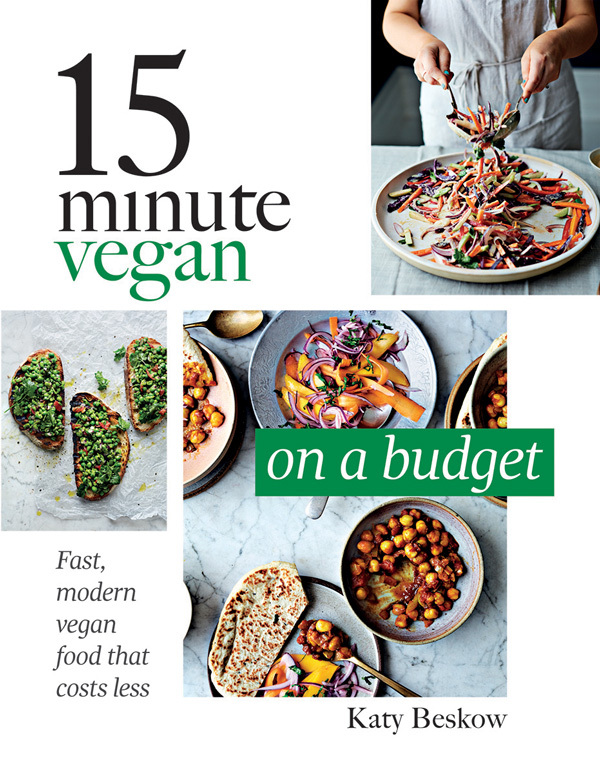 15 Minute Vegan: On a Budget, published this month, features 100 easy recipes from vegan cookery blogger Katy Beskow (www.littlemissmeatfree.com) in chapters titled Breakfast, Light Bites, Mains, Essentials and Sweet Stuff. Heat the oil in a large frying pan over a medium heat. Make eight ball shapes from the bean mixture, then flatten into patties. Carefully place in the hot pan and cook for 4 minutes on each side, flipping with a spatula.